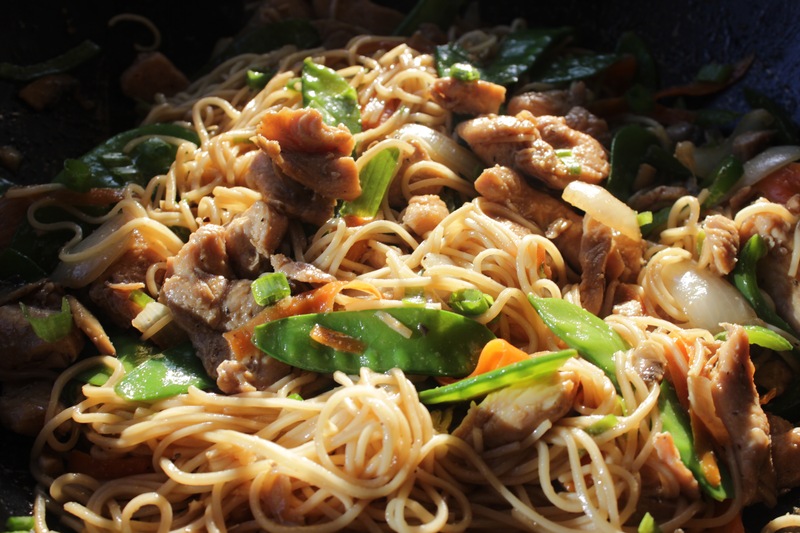 What is the difference between chow mein and lo mein? Valid question, right? For years I ate both and didn’t know or care what the difference was. Fun fact of the day: The only difference is chow mein noodles are cooked to a slight crisp while lo mein are left soft. Who would’ve known. In previous posts I have gone on rants about how I despise ordering Chinese food. For one, no one in China eats what we call “Chinese food” and two, it is so unhealthy and not clean. Of course there are a few exceptions but unfortunately most places are grungy and no where near as clean as I would like. I came to the decision after years of eating it and loving every bite but the Asian cuisine is some of the easiest dishes to make once you become familiar with the flavors and simple techniques. Once I understood the simplicity behind the meals and staple flavors, I started making them all myself. Lo mein, fried rice, beef and broccoli and General Tso’s are just some of my favorite dishes that I have converted to my own. Sesame oil, soy sauce, hoisin sauce, ginger and garlic are some of the main flavors in Asian dishes. Luckily for me, I love and appreciate every single one and understand the importance they play in every dish. This dish has a basic soy, ginger and garlic sauce with all the flavor but A LOT lighter than the heavy soy sauces they drown your noodles in at Happy Dragon. 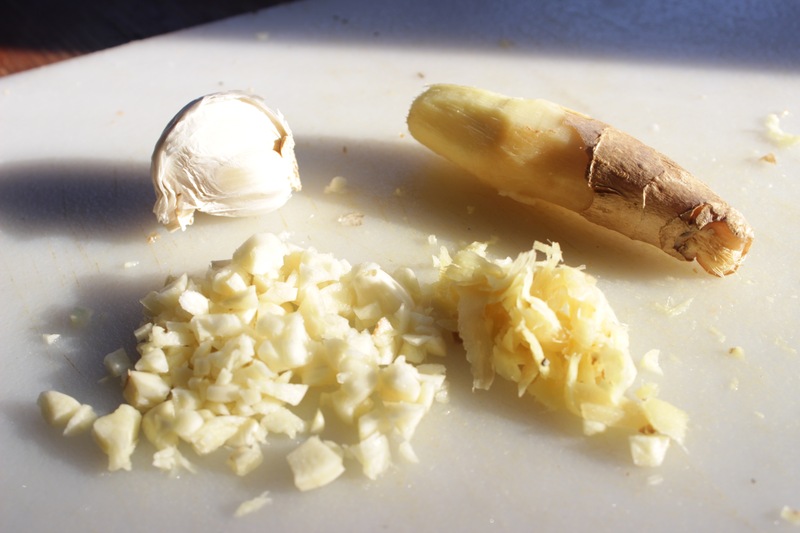 Fresh ginger is always better than ground ginger but if you honestly can’t get your hands on fresh ginger, than make sure you get your hands on ground ginger in a bottle. My favorite brand of any seasoning is McCormick. Now I will cut to the chase and get to the reason you clicked on this link. Chicken lo mein! I have tried giving up pasta and it is an epic fail every time so I try to make any noodle dish as light as I possibly can. I got the noodles I used very cheap at a little Asian corner store. Yi Mein noodles are very similar to spaghetti noodles, not too thick or thin. 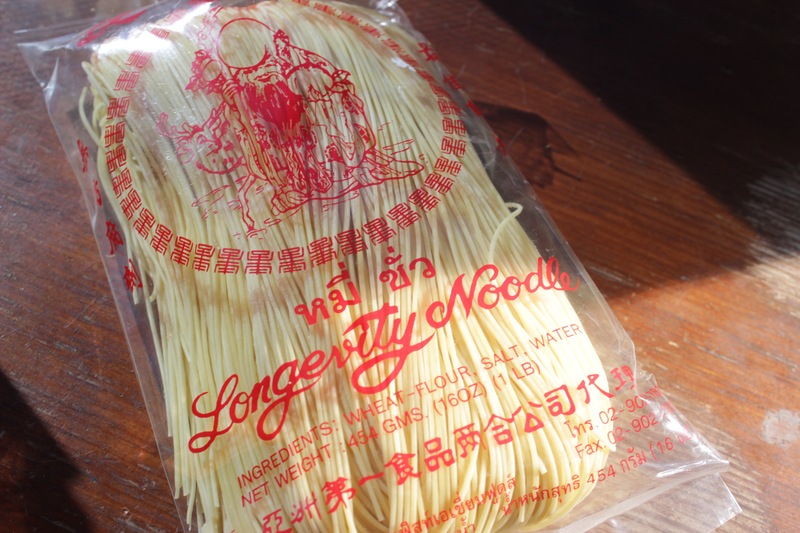 You could use any other noodle you would like but I find these to cook the best and fastest and absorb the flavors better than any thicker pasta. Boil water in a soup pot according to the instructions on your package of noodles. Cook your noodles, drain and let sit. While that’s cooking, heat a wok or skillet with your 2 tbsp of olive oil on medium high heat and add your chicken. Add 1 tsp of salt and 1 tsp of pepper and 1 tbsp of your garlic. Cook until no longer pink. Take out of the skillet and set aside. 3. While your chicken cooks, whisk together your sauce ingredients and set aside. 4. With the juices of the chicken still in the pan, cook your veggies on medium high heat. You may need to add more oil. 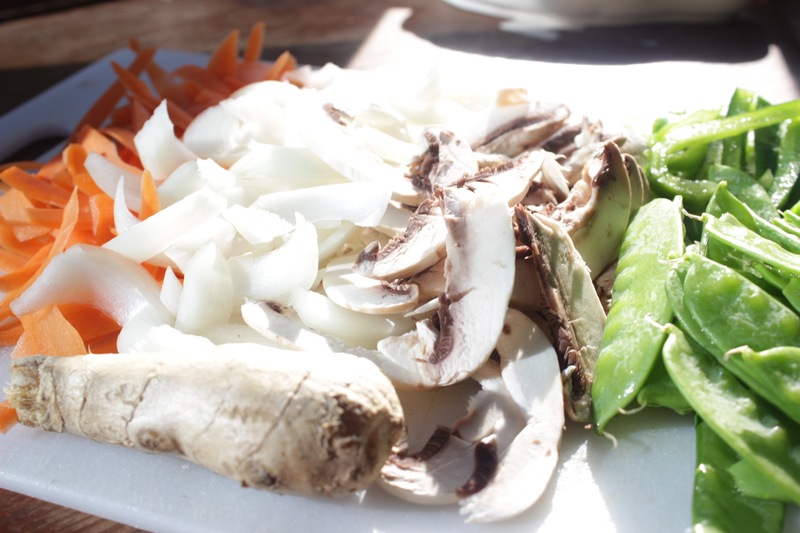 Do not over cook veggies, but keep tossing them around until bright and at your desired crunchiness. 5. 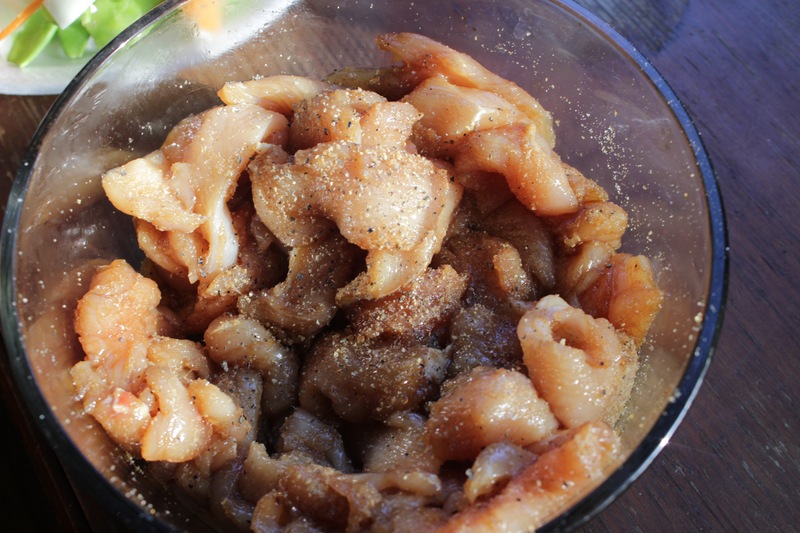 Add back in your chicken and the rest of your minced garlic. Cook together about 5 minutes. 6. 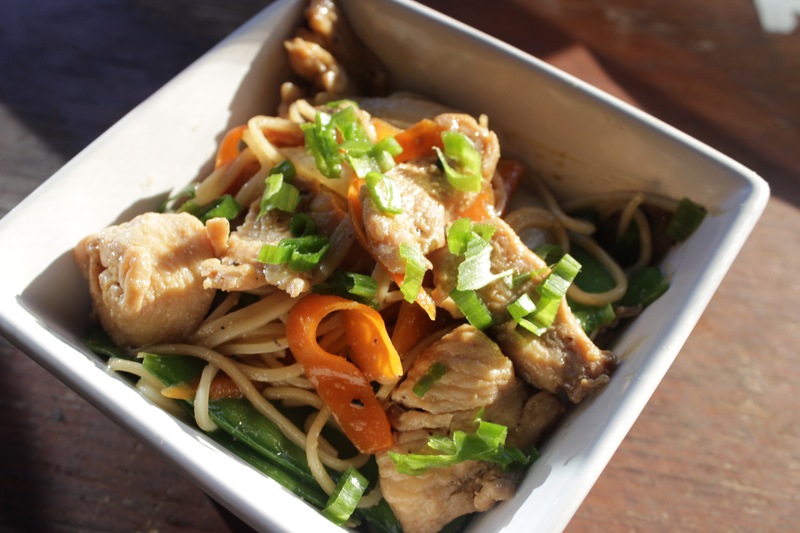 Remove your noodles from the water and add to your pan with veggies and chicken. Mix everything together well then add your sauce. Taste for salt and pepper. 7. Garnish with scallions or sesame seeds.